The 18|19 season comes to an end following an exhilarating weekend with some fantastic successes. 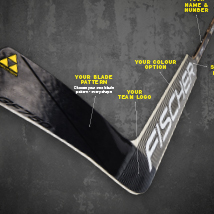 The Fischer Race Family athletes bag five of the seven big Crystal Globes for the overall World Cup winners and nine of the thirteen small Crystal Globes in the discipline World Cups. 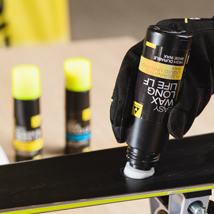 In the four Nordic disciplines, 58% of all podium finishes are won with Fischer skis and boots, and 76% with the TURNAMIC® binding set-up. 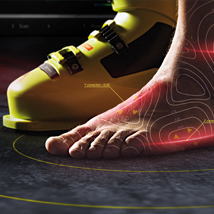 This makes Fischer the most successful ski and boot brand in the World Cup for the tenth time in succession since 09|10, and also the most successful binding brand with TURNAMIC® now in its second year. 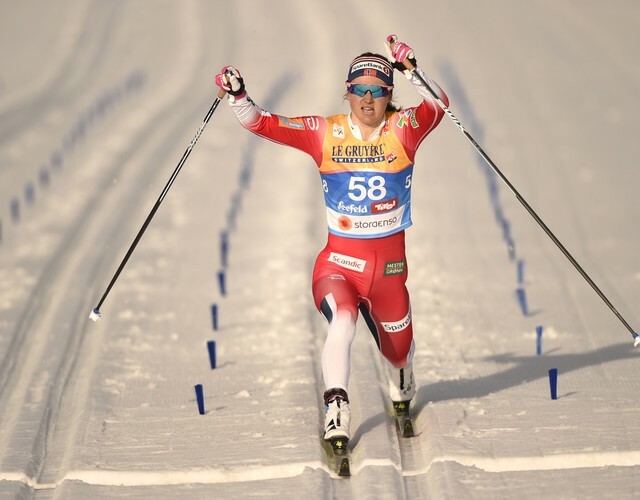 Johannes Høsflot Klæbo (NOR)* races his way to victory in the last event of the season in Quebec (CAN) in a neck-and-neck cliff-hanger of a finish against Alexander Bolshunov (RUS), crowning his dream season with the overall World Cup title, which follows his Tour de Ski win, three World Champion titles in Seefeld (AUT) and a Crystal Globe for winning the Sprint World Cup. "It's been a tough fight this season right from the beginning. But I've been saving up a little bit of energy. 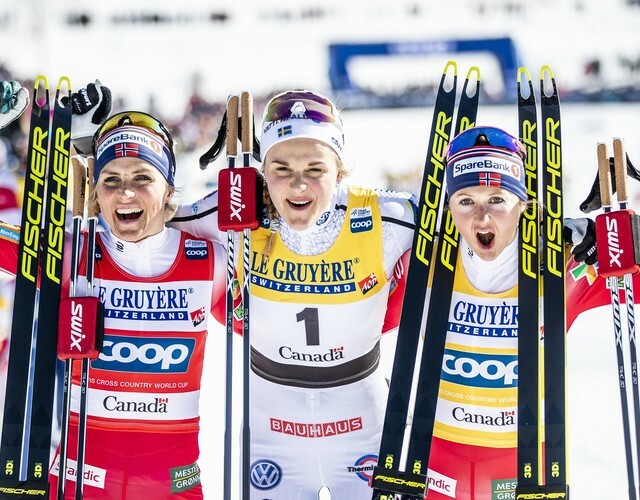 It was really cool to be the first to cross the finish line and take the big Crystal Globe," said the tired but overjoyed youngest two-time overall World Cup winner of all time. In the women's events, it is Ingvild Flugstad Østberg (NOR)* who receives the big Crystal Globe for the first time. 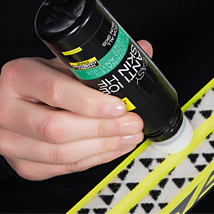 She also won the Tour de Ski and the largest number of medals in Seefeld with three Silver and two Bronze. The amiable Norwegian can hardly believe her luck: "A few years ago I watched my colleagues fight for the yellow jersey and I didn't even dare to dream that I would be a contender. It's hard to describe, but being able to say that I am the winner of the overall World Cup is an incredible feeling! 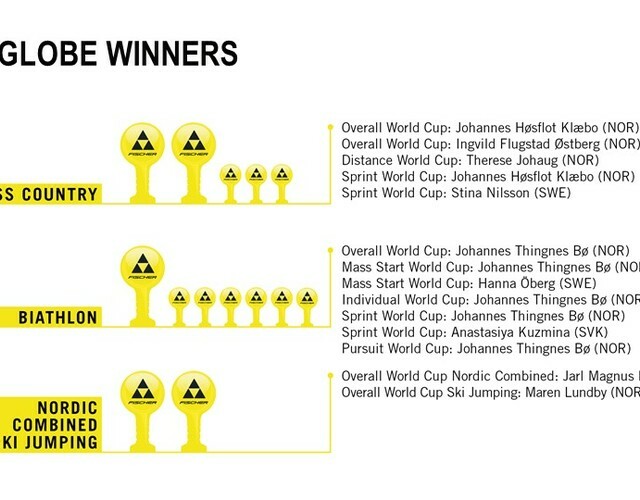 The fastest sprinter throughout the season is Stina Nilsson (SWE)**. After two Gold medals and a Silver in Seefeld, the Swede receives the Crystal Globe for the first time for winning the Sprint World Cup. Therese Johaug (NOR)*, on the other hand, is virtually unbeatable on the long distances and adds to her trophy collection a small Crystal Globe for winning the Distance World Cup following her three Gold medals and one Silver in Seefeld. 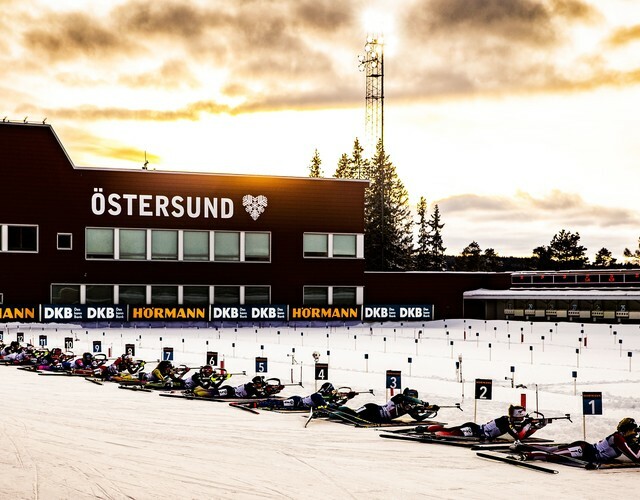 At the biathlon, Johannes Thingnes Bø (NOR)* ends the season with a hat-trick at his home tracks of Holmenkollen in Oslo (NOR) and makes history by winning not only the last three races one-after-the-other, but 16 of the 26 races of the whole season - more than any athlete has ever won before. The four-time World Champion and Silver medallist in Östersund (SWE) is not only the overall World Cup winner, but also takes home all four small Crystal Globes in the Discipline World Cups. 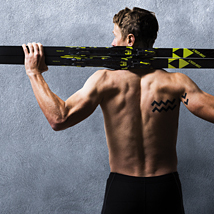 "Biathlon has many great names who went before me. Joining their ranks now is really something special. 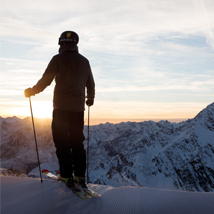 I am of course very proud of what I have achieved," says the outstanding athlete of this winter, "But it has only been possible with a strong team behind me. The service people, as well as the coaches, have contributed a great deal to my success." 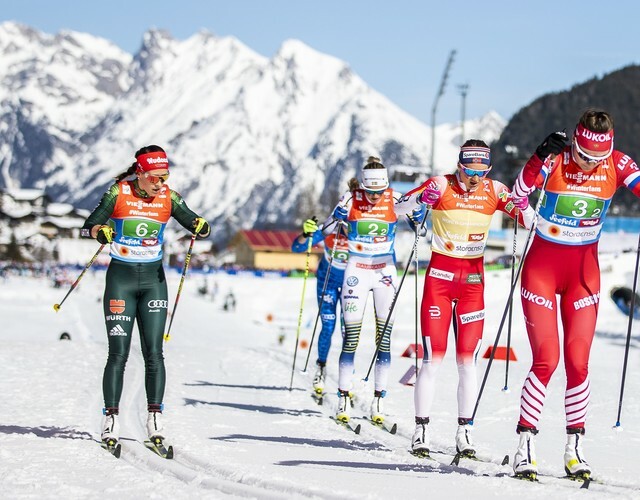 In the women's competition, the Fischer Race Family athletes fight for the overall World Cup right until the end when they have to concede victory to Dorothea Wierer (ITA) in the last race. Anastasiya Kuzmina (SVK)*, freshly crowned Sprint World Champion in Östersund, did however put a superb finishing touch to her career by winning the small Crystal Globe in the Sprint World Cup. 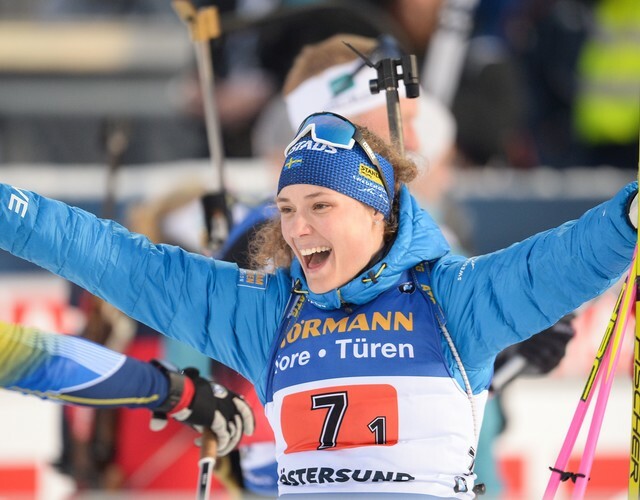 After Hanna Öberg (SWE)* withstood the pressure at her home World Championships, where she won an entire set of medals, she crossed the finish line first in the last race of the season to crown a fairy-tale season with a Crystal Globe for winning the Mass Start World Cup. 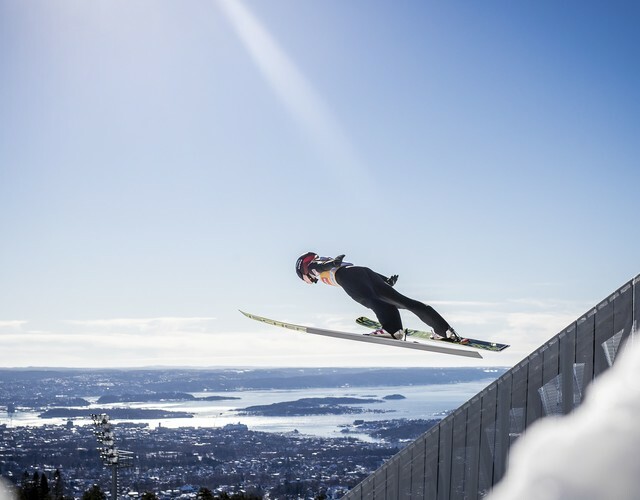 Ryoyu Kobayashi (JPN) sets new standards this season on the world's ski jumps. 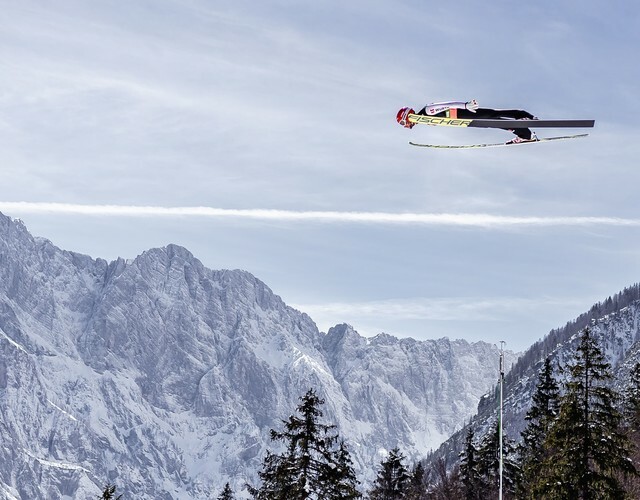 Markus Eisenbichler (GER)***, however, takes second in the Four Hills Tournament, is three times World Champion in Seefeld and puts up a fight until the very last jump in Planica (SLO) for the Ski Flying World Cup title. In the end the small Crystal Globe still goes to the "Neo-Japanese", as Kobayashi calls himself, and also in the overall World Cup the two Fischer ski jumpers Stefan Kraft (AUT)*** and Kamil Stoch (POL)*** have to give him the lead. "So much has happened during this season. I became World Champion and celebrated my first World Cup victory. 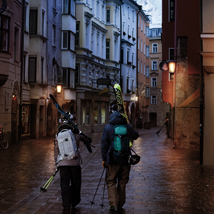 I am simply overwhelmed," is how Markus Eisenbichler sums up the past few months. "I set out to unsettle Kobayashi a little bit, and I succeeded. But in the end, he still made it. 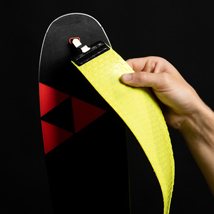 Nevertheless, I'm having a lot of fun ski jumping again and I am very pleased this was such a great season." In the women's events, Maren Lundby (NOR)*** flies ahead of the rest of the field and finishes the season with her 25th World Cup victory. In addition to the World Championship title and two Bronze medals in Seefeld, the Norwegian high-flyer wins twelve World Cup competitions this winter to repeat her overall World Cup victory of last year ahead of Katharina Althaus (GER)***. She is visibly overjoyed: "It was a long, but also very successful season. I am happy that I was able to build on my successes from last year and maintain my level. 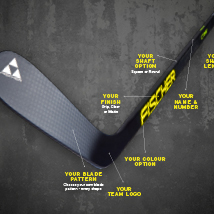 It means a lot to me and the whole team." In the Nordic combined, Jarl Magnus Riiber (NOR)* was already the clear overall World Cup winner by the beginning of February after his tenth victory of the season. 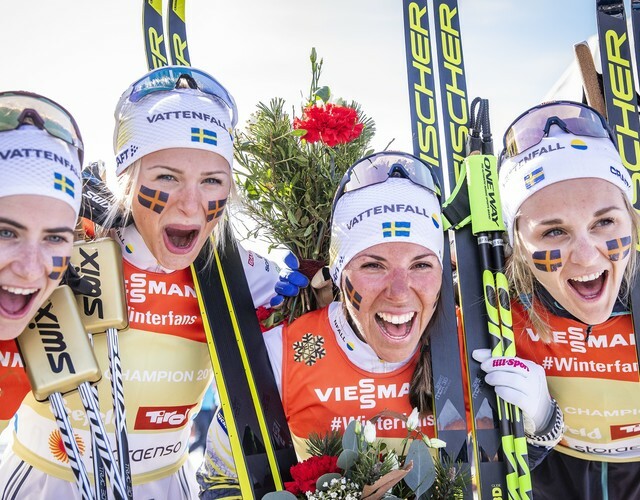 After two World Championship titles and a Silver medal in Seefeld, the Norwegian, strong in cross country, wins in Oslo and at the final race of the season in Schonach (GER). This means that he also has 12 season victories under his belt and matches the season's top marks attained by Finn Hannu Manninen. After the last race of the season Jarl Magnus Riiber simply says: "I'm so happy that the season is over. I have finally managed what I set out to achieve." 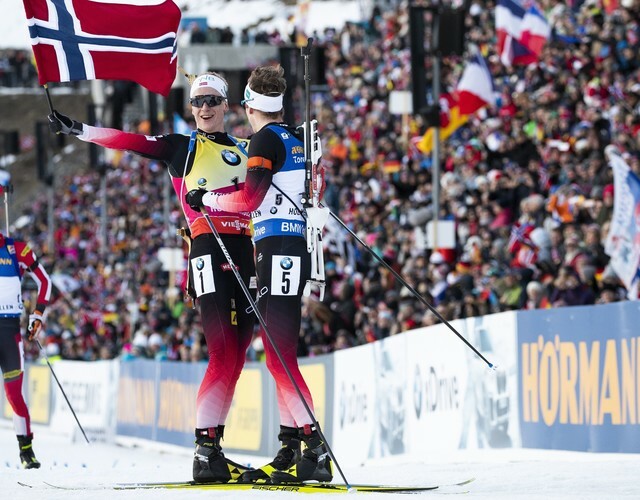 Athletes of the Fischer Race Family are on the podium a total of 300 times in the course of the 18l19 World Cup season. 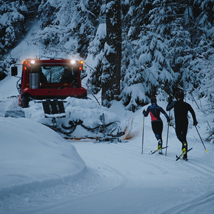 In 171 individual events in the Nordic disciplines of cross country, biathlon, ski jumping and Nordic combined, Fischer athletes celebrate 120 World Cup victories, 91 second places and 89 third places. 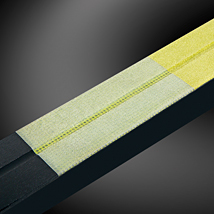 58% of all podium finishes are won with Fischer skis and boots and 76% with the TURNAMIC® binding set-up. 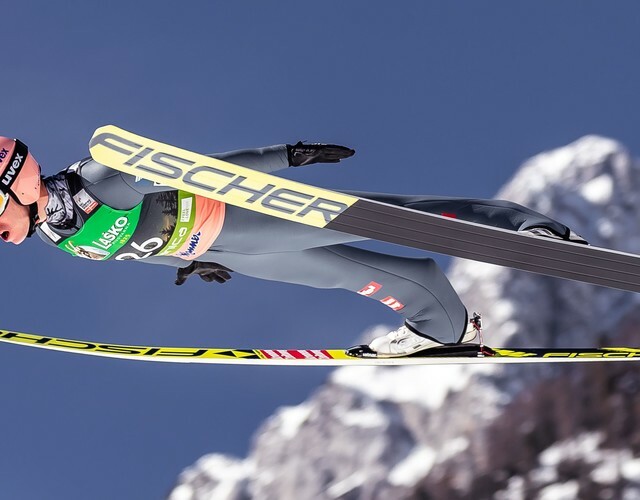 Fischer athletes win by far the most medals at the Biathlon World Championships in Östersund, as well as at the cross-country skiing, Nordic combined and ski jumping in Seefeld. 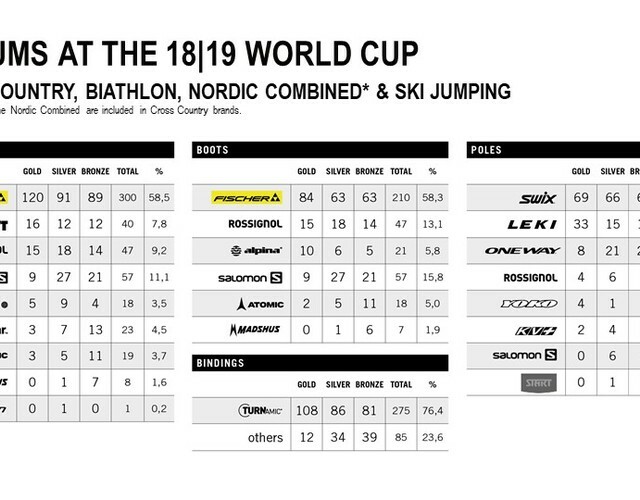 This makes Fischer the most successful ski and boot brand in the Nordic World Cup for the tenth time in succession since 09|10, with Fischer also dominating the season in the second year of TURNAMIC® as the most successful binding brand. 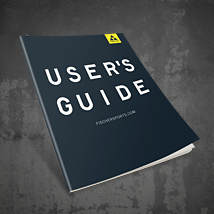 Detailed summaries of the World Championships can be found here: Seefeld & Östersund.